Philippine foreign policy has transformed radically over the past year. Once a firm American ally, Manila’s allegiance is becoming shaky. Philippine foreign policy has transformed radically over the past year. Once a firm American ally, Manila’s allegiance is becoming shaky. One sign of this is the visit of China’s vice premier on Sunday, who’s expected to bring the Philippines $6 billion in deals and favourable loans. This is significant – while campaigning for the presidency last year, Duterte remarked “build me a train” and “I’ll shut up” about the South China Sea dispute, which has crippled relations between the two neighbours in recent years. Courting Beijing has proven advantageous: worried regional players are showing more interest in the Philippines. Japan offered a $8.8 billion aid package in January; last week Australia’s foreign minister stopped by to sign a $70 million aid package for Mindanao, the president’s home island. 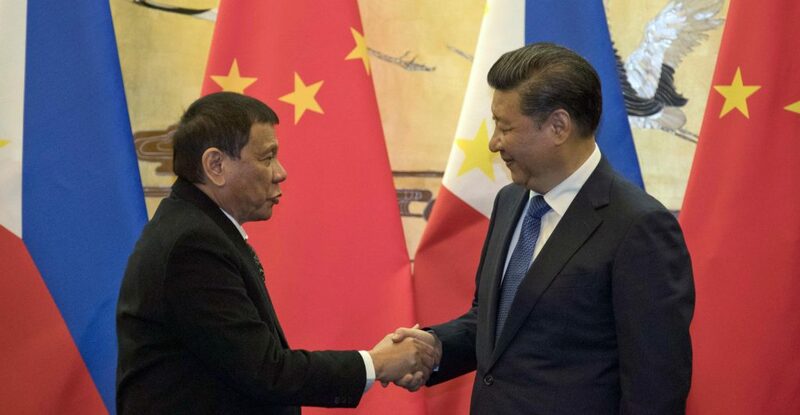 But Mr Duterte’s rapprochement with China is unlikely to break the deep institutional bonds between the US and Philippine militaries, which will outlast the firebrand president. However, his acceptance of Chinese money will make future presidents more vulnerable to economic coercion. Today’s bilateral lovefest deepens that vulnerability.